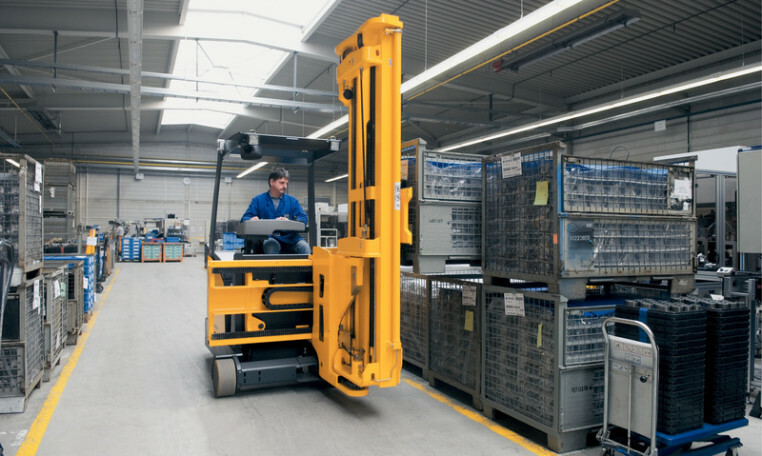 The Jungheinrich EFX 410-413 series of turret trucks, featuring lift heights up to 23 feet and a maximum capacity up to 2,750 lbs., are designed to provide maximum versatility in very narrow aisle (VNA) warehouses. These turret trucks, the only series of its kind offered in North America, can be used with wire or rail guidance, increasing productivity and combining applications in very narrow aisles, wide aisles and staging areas. There are a variety of optional packages and systems available, including RFID ground control and the Jungheinrich®warehouse navigation system. 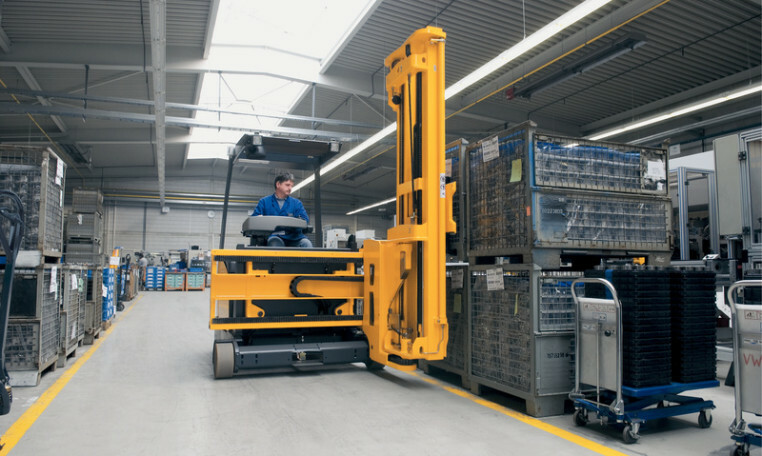 The EFX 410-413 man-up turret truck is available with optional transponder technology and warehouse navigation, which allows for maximum levels of productivity and security as lift truck performance can be tailored to the specific conditions of multiple areas within the warehouse. Lower energy consumption due to excellent efficiency in all motors. Optimal heat management allows for cooler operating temperatures. High torque for dynamic movement. Reduced forklift maintenance resulting from the omission of wear-susceptible components (carbon brushes, commutator, contacts, etc.). 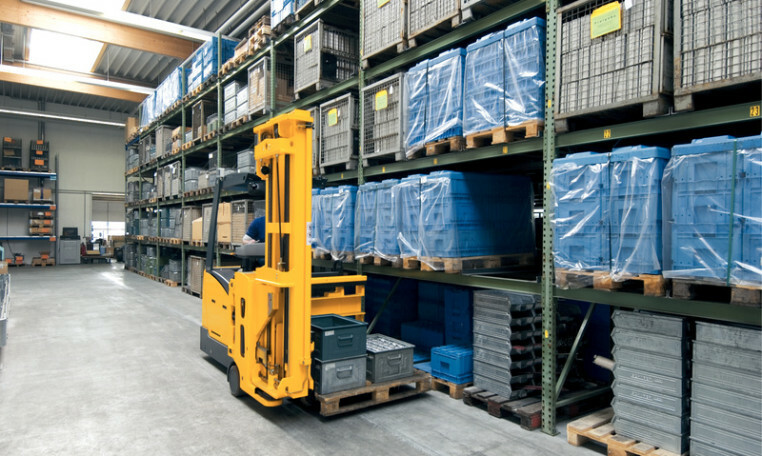 During lowering of the forks or load, energy is fed back into the forklift's battery (reclamation lowering). 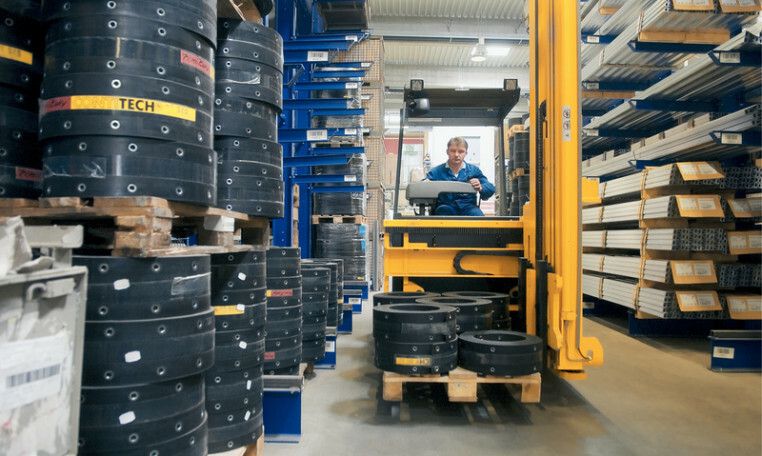 Energy is also fed back into the lift truck system during braking (regenerative braking). This reclaimed energy significantly lowers energy consumption. Doubled energy reclamation through regenerative braking and lowering. Longer operating times on a single battery charge (up to two shifts). Shorter charge times resulting in prolonged battery life. AC drive control and CAN-Bus make the EFX series of turret trucks user-friendly, application-oriented, economical and reliable. Individual adjustment of the turret truck to suit the application. All performance parameters can be adjusted. 70% fewer cables and plugs. The EFX can be linked to a Warehouse Management System (WMS) by a radio data terminal or scanner. Direct loading of each destination through the lift truck's computer. RFID location detection ensures accuracy in reaching correct destinations. Gain up to 25% higher throughput. Large footwell for easy entry and exit. Unobstructed view of the load and travel route. Cushioned comfort seat that absorbs vibrations. Soft keys with numeric key pad. Ergonomic, single-handed operating lever controls hydraulic functions. AC drive control with CAN-Bus connection. Mirror on overhead load guard for improved visibility when operating the forklift. Spring-loaded parking brake on drive wheel. Hydraulic load wheel brake (wire guided only). Stepless speed control of all 3-phase AC motors for smooth and efficient travel of the forklift. Smooth operation of all hydraulic functions with cushioning at all end stops. Removable rear cover for easy access to the forklift's drive and lift components. Removable battery side panels and hinged battery cover for easy access to the lift truck battery. Battery can be removed from either side of the forklift.